60 years to get to 48%. 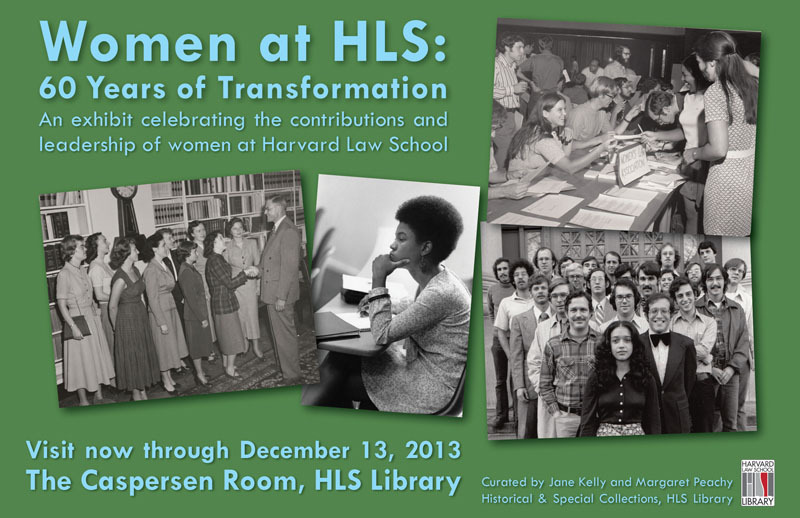 Next week, I’ll head back to the legal mothership for an event: Harvard Law School will host Celebration 60 (sixty years of admitting women to the law school). Ruth Bader Ginsburg was there for Celebration 40 during my first year of law school (1993). She was impressive. Kind, candid, witty, gracious, a thoroughly inspiring trailblazer. Ginsburg graduated first in her class in 1959 (from Columbia after transferring from HLS) and not a single law firm offered her a job. When she told this story in 1993, she’d just become the second woman on the US Supreme Court. “How many women would be enough?” Sawyer asked. I love that she said that. However, the number of women entering law school is going down. A quick non-exhaustive sampling of internet statistics today reveals: The 2012 census reports 50.8% women in the US population. Women outnumber men in 2 and 4 year colleges, masters and doctoral programs. In contrast, from an all time high of 50% in 1993, enrollment of women in law schools dropped to 46.8% in 2011. These numbers must correlate to many factors including the economy, but what about the impact of evolving concepts of “career” for women? Can women evaluating careers imagine satisfying lives in legal practice? Doesn’t that impact how attractive it seems for women to choose law school? This year, the Celebration 60 program brochure is filled with women who have excelled in many phases of “legal careers.” They have moved in and out of courtrooms, baby rooms and classrooms. They have made government policy and written books, become CEOs and judges. Twenty years ago the discussion of women in law was quite different. In the era of “breaking the glass ceiling” the message seemed (to me) to be: knock down the door, get in there and excel–never let up! Those first generation feminist trailblazers fought like hell to throw open the doors and, as the second generation of working women, we damn well better walk in there and wow everyone. There was little talk of work-family-life balance or “pauses” in careers. Today, the internet and bookstores are saturated with writing about leaning in, leaning out, opting in, opting out. The conversation is more realistic and more complicated. I’ve been a public defender for fourteen of the seventeen years since I graduated in 1996. Right in the middle of the seventeen years, I didn’t practice law for three years. I “paused” and spent time with my family and other pursuits. My belief that public defenders are superheroes and there is no higher calling never wavered, but the transitions in and out of practice were not smooth. I had to quit my job in one county, take piles of flack for not being a “true believing career PD” (whatever that is), and start over again in another county when I returned. I’d love to hear from PDs in offices with sabbaticals, extended leaves, part-time job shares and other creative strategies to increase retention and morale. Too often these creative ideas are characterized as incompatible with trial work. I look forward to hearing some big minds throwing themselves at the career evolution topic next week, and will report back. After all, 48% is progress, but we’re not there yet.